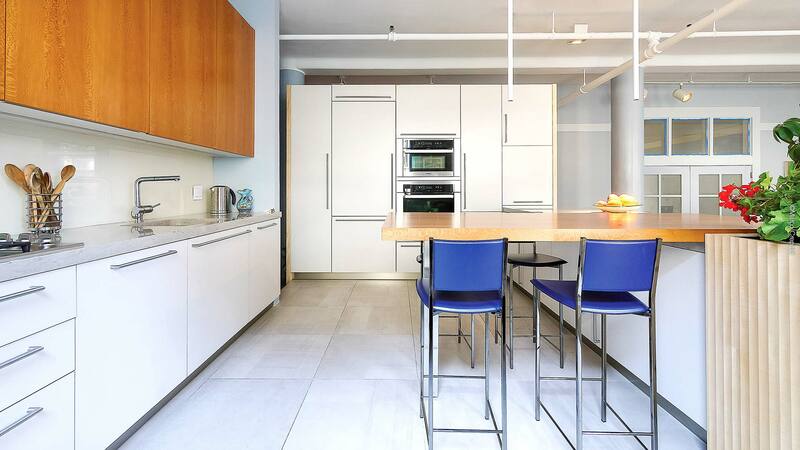 The sycamore wood kitchen characterizes this open-space located on the 5th Avenue, a special project in the heart of Manhattan. 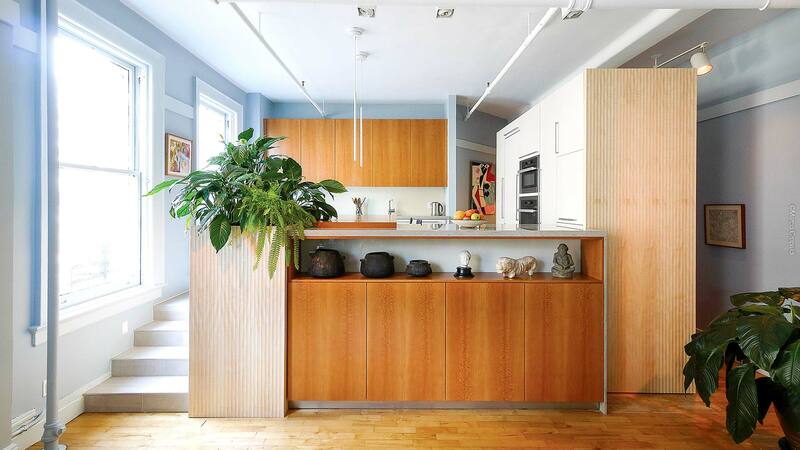 A bespoke sycamore wood kitchen that articulates an open space. 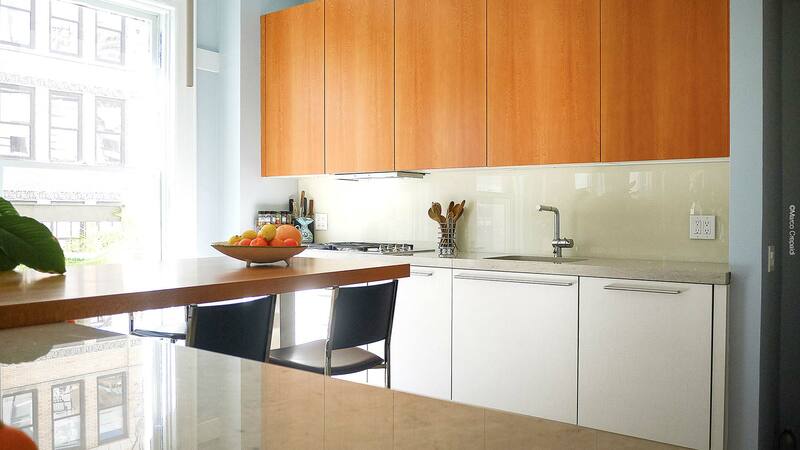 A cabinet made of semi-gloss Sycamore wood and a Sahara Grey stone top divides the living room from the kitchen. 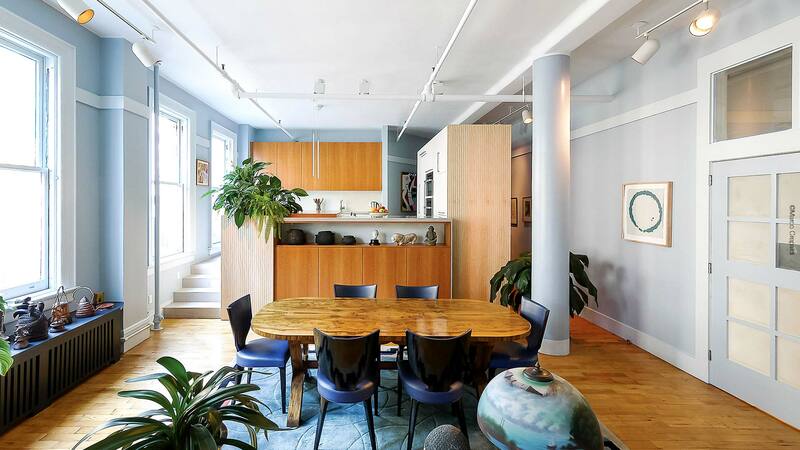 The cabinets includes a cantilevered sycamore dining table. A flower box made of the same wood is positioned on its side. 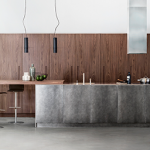 The kitchen has a linear composition, with semi-gloss Sycamore wood wall cabinets equipped with LED lighting, and bases with a fabric-effect Penelope melamine finish and brushed aluminium handles. 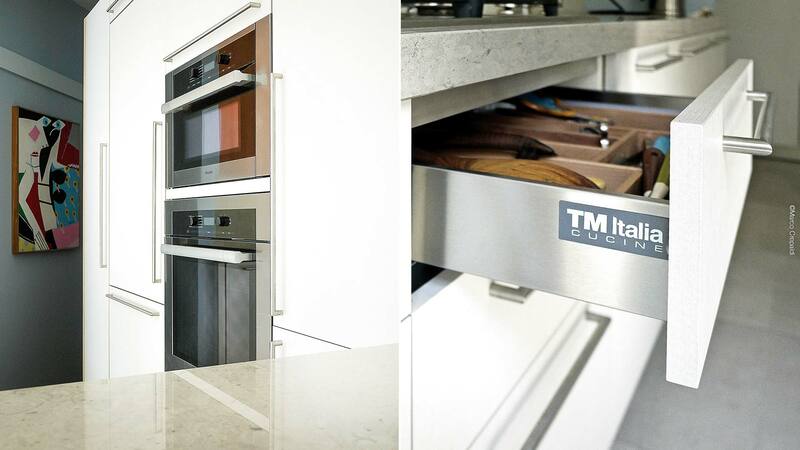 The worktop is made of Sahara Grey stone with a built-in sink and stove top. The backsplash is made of lacquered glass. 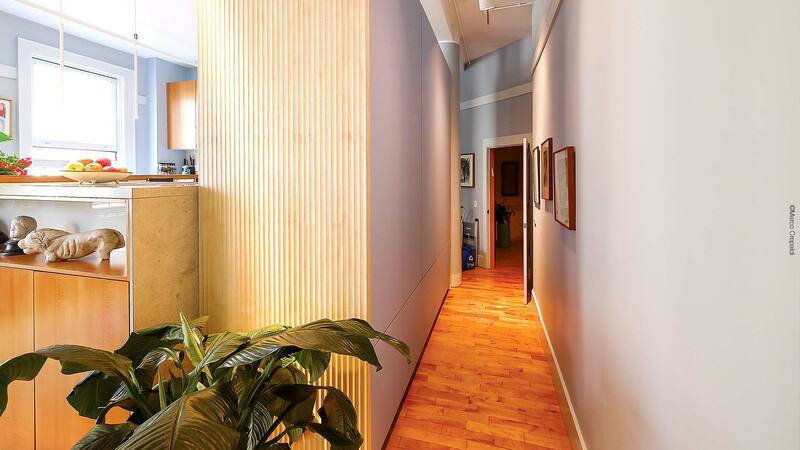 The freestanding pantry columns divide the space, creating a corridor to the other rooms. The front panels of the columns feature a Penelope melamine finish, while the back panels are made of glass and back-painted with a periwinkle blue finish. Design: Podda Ponti Architects, Design-Apart with TM Italia.